Creative ruts just got a whole lot easier to get out of. Any creative process can be a challenge. When you're down on yourself, it can get even harder. Never lose hope. 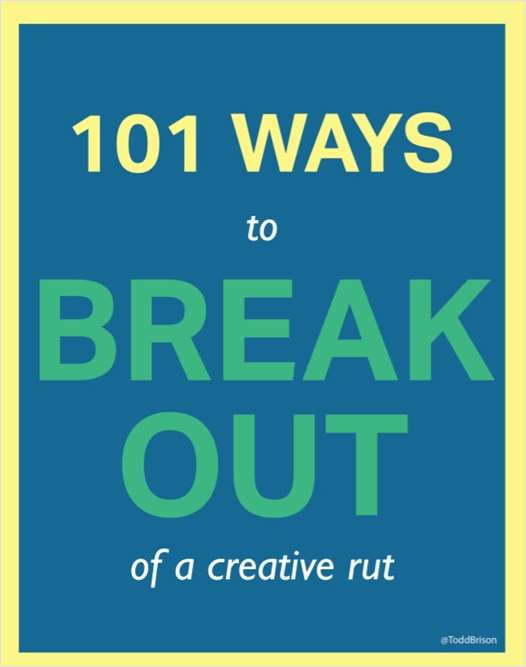 Take these simple and unique ideas to pull you out of your rut. To make sure you snap out of it faster than anyone else, download this guide! Get more done on a daily basis! Practical and simple tips which will make your next travel experience a breeze! If you’re thinking about starting an online business, don’t wait- Just start.